The Ledger Nano S is the best hardware wallet for storing Bitcoins or other cryptocurrencies. Read our review to find out how it works, its price and where it can be bought. Finding the right “container” for your cryptocurrencies is essential to prevent hacker attacks or viruses, and to fully rely on your wallet’s security: by making a simple comparison with traditional currencies, this is about depositing savings into a current account rather than keeping capital in your pocket or at home, thus avoiding exposing it to the risk of theft. While traditional money deposited in the bank is, so to speak, insured against theft, cryptocurrencies are not. 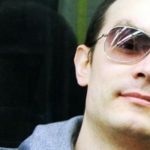 They are decentralised and therefore without a control body; for this reason, the owners themselves must come up with the necessary means to prevent sporadic attacks from users. Owning a digital wallet is essential to send and receive cryptocurrencies: it is a personal virtual interface that contains the passwords and codes needed to access your credit. There are different types of portfolios that store digital coins: let’s take a brief look at what they are and why choosing a flash drive is the best solution. Wallets for keeping your cryptocurrencies safe are divided into two categories: software and hardware. The first ones are nothing more than online sites or mobile applications (downloadable on tablets and smartphones). User-friendly, free and always available on multiple devices, these hot wallets have a downside that is worth bearing in mind. Given that passwords are generated and read on a device connected to the Internet, they cannot be considered as 100% safe; their use is in fact indicated for carrying out small and frequent transactions, but we certainly do not recommend this option as a deposit account for your cryptocurrency savings. On the other hand, there is the hardware wallet. These are electronic devices that have made security their mission. To perform operations they must be connected to the PC, tablet, or other device connected to the Internet, but the passwords are created and protected in an offline environment; this guarantees the maximum security for virtual coins, which cannot be stolen even if they the devices that contain them pick up malware. Simple to install and protected by a PIN backup, these wallets are preferable if you own discrete amounts of currencies. For more information read our article on the best Bitcoin wallets. The Ledger Nano key belongs to the hardware wallet category, dedicated to protecting Bitcoins and Altcoins and the transactions you carry out. It could be argued that hardware wallets have a cost, while software ones are mostly free, but we remind you that this investment is not wasted. The Ledger Nano S key costs €84.90, which is well amortised if you own cryptocurrencies for higher figures because online or mobile wallets easily risk being stolen. Especially for experts in the cryptocurrency world, the Ledger Nano S key’s most important feature is that it supports all digital currencies. From Bitcoin to Litecoin, from Ethereum to Dash, they are all grouped into one wallet that can manage multiple addresses for each currency. Data is protected by a private key, that is a string made up of 24 security words that, in the event of malfunction or loss, allow you to recover the wallet’s contents. Keys are the coins’ certificate of ownership giving you right of access. In this regard, we emphasise that as a physical object, practically identical to a common USB key for data storage, it could be damaged or suffer deterioration from wear: it is advisable to always handle it carefully and to pay the basic attention you would to any high-tech content device. The Ledger Nano S has an OLED screen to check transactions and two buttons to navigate the menu and confirm operations if pressed at the same time. In addition to the aforementioned security key, the Ledger Nano key guarantees that only you can use it: when you connect it to a PC it requests a 4-digit PIN, thus making its use impossible to others and thief-proof. Initialisation or restoration configuration takes place offline, in a safe environment inside the key itself: in this way, even if the device picks up malware or viruses, the monetary content is not affected and the cryptographic codes remain safe. In essence, the wallet remains constantly decentralised and entrusted only to the hardware, which despite interacting with the computer or tablet’s software, it keeps keys and pins locked outside via the Secure Element. This mechanism is crucial because it protects savings from hacking which every device connected to the internet is subject. To receive payments the key doesn’t need to be connected to a PC since cryptocurrencies are not inside the Ledger Nano but on the blockchain: the flash drive contains the cryptography necessary to access the funds. For transactions, all you need to do is provide your address. When you later connect the key to the PC you can check your transaction history and current balance. First of all, to operate the Ledger Nano key, you have to make sure you have Google Chrome or Chromium 50+, and that the operating system is from 7 onwards for Windows, and equal to or greater than 10.7 iOS in the case of a Mac. Installation is really very simple even for beginners in cryptocurrencies. First of all, connect the key to a USB port and then choose your PIN using the two buttons on the Ledger Nano. After doing that, the recovery seed, or the private key of 24 words we mentioned previously, will appear. It is essential to write this out on a sheet because it will allow you to recover all data in the event of key theft or loss. Likewise, you should not rely on your own memory for your PIN, but rather take a note of it and store it in a safe place because it will be requested both to access the Ledger Nano and to confirm transactions. In all cases, a “recovery sheet” card is supplied in the package, where you can record this important data. On your first use, you will find only two apps, one dedicated to Bitcoins and the other to Ethereum, i.e. the two currently most important cryptocurrencies per market capitalisation. To be able to install other digital currencies on your wallet, you need to download the Google Chrome extension “Ledger Manager”, bearing in mind that for these operations the key must be inserted in the USB port. Access to the wallet is also subject to an extension, in this case, “Ledger Wallet Bitcoin” which, in spite of its name, does not only concern credits in BTC but groups all your cryptocurrencies in possession into one wallet. If you operate exclusively in Ethereum you should install “Ledger Wallet Ethereum“, an app entirely dedicated to that currency. As already widely demonstrated, the Ledger Nano key is the safest way to protect cryptocurrencies from theft against which the user has no insurance. It is the best quality/price ratio solution, and typically the options using stored data and offline cryptography are to be preferred because they bypass the critical points inherent to the internet. The device only stores private keys, so if it is lost or stolen (remember that it is still a tamper-proof object) your money remains protected in the blockchain, and the codes will be easily retrievable via the password security. In fact, to date, there have been no cases of Ledger Nano key hacking. 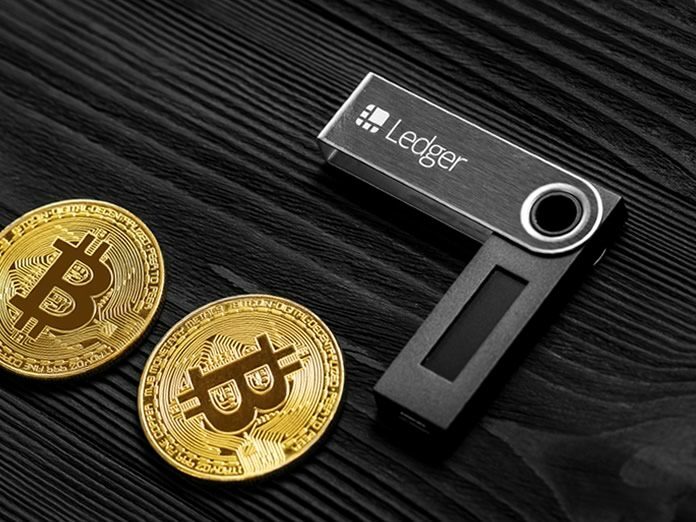 In short, if you are interested in a reliable deposit of cryptocurrencies, and especially if the quantity of coins is significant, the Ledger Nano is probably your best option: your capital will be kept in the blockchain, and not in the key that could also be lost, but at the same time the data to access it will remain in the flash drive, away from vulnerable devices. The revolution of the Ledger Nano key is precisely this, the separation between credit and passwords: the first online and the second offline so that in case of unforeseen circumstances to one of the two, your Bitcoins or Altcoin are always safe. Next articleCoinbase: Opinions and Review 2019. What it is and is it safe?